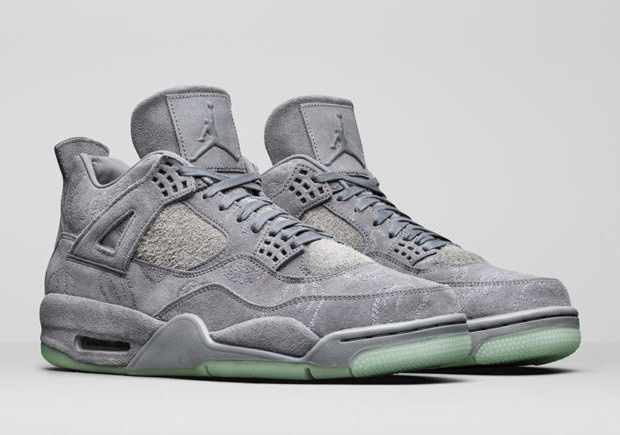 The KAWS Jordan 4 is coming back via the KAWSOne Online Store via a lottery. Log on to KAWSOne.com Friday, April 21st, at 12 PM EST to register for a chance to buy the item at retail. Winners of the lottery will be announced on Monday, April 24th; winners will get the opportunity to buy one size of the shoes. The announcement comes courtesy of KAWS himself after we’ve been patiently waiting for another chance to grab the premium suede take on the Air Jordan 4 retro since it saw a widespread global release on March 31st. If you can’t wait until then to grab your pair, be sure to find your size right now on eBay and Stadium Goods.